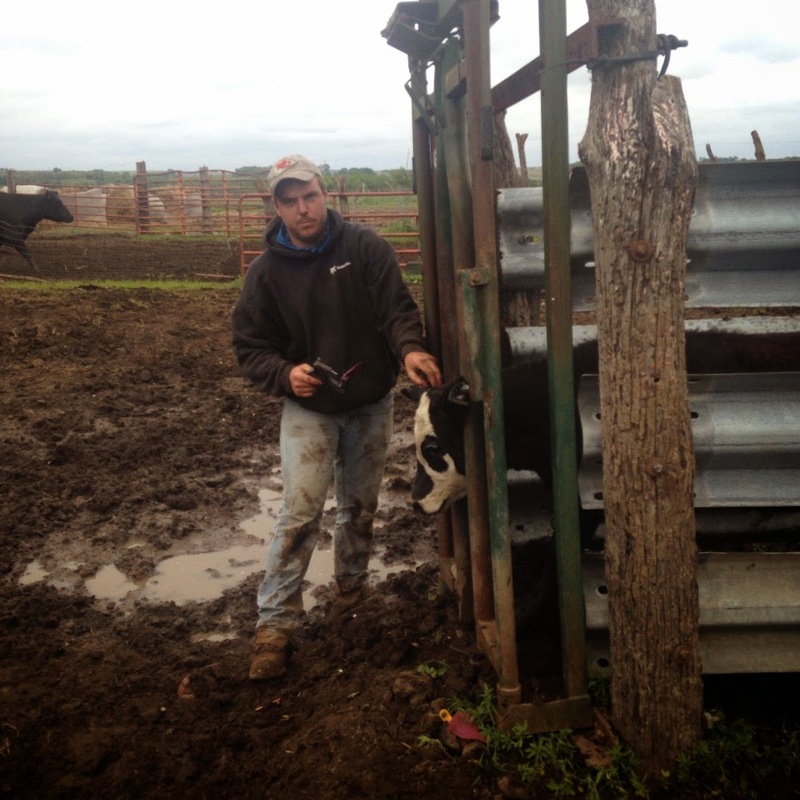 Last night we had a little rodeo on Wallen Farms, Jerry had to work some calves born this Jan-April. He administered vaccinations and Pour-On, ear tagged them, and castrated the males. 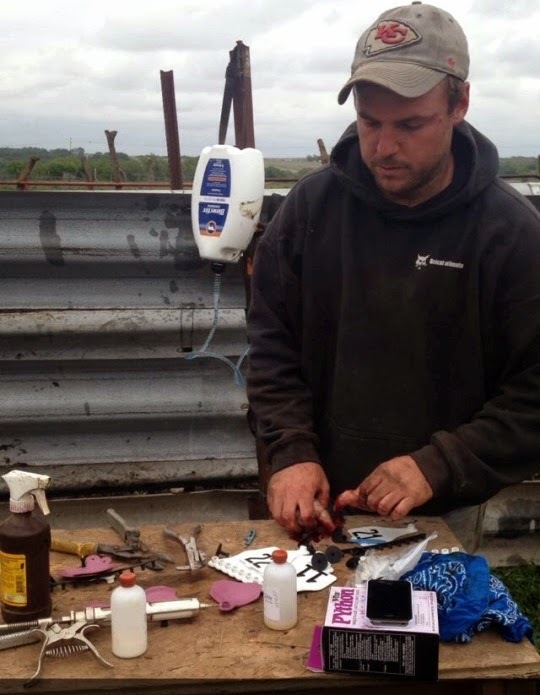 Below Jerry is castrating a male bull calf, castration is a necessary practice for breeding selection. To achieve a desirable calf crop within the herd most bulls are castrated. This prevents bulls from breeding with their sisters and allows a uniform breeding schedule to be kept. Those animals with superior genetic and physical characteristics are not castrated and used as breeding bulls. The ear tags allow Jerry to keep track of the different animals by numbered tags &amp; colors. Some parts of the county require permanent identification such as a brand (usually made with hot iron). 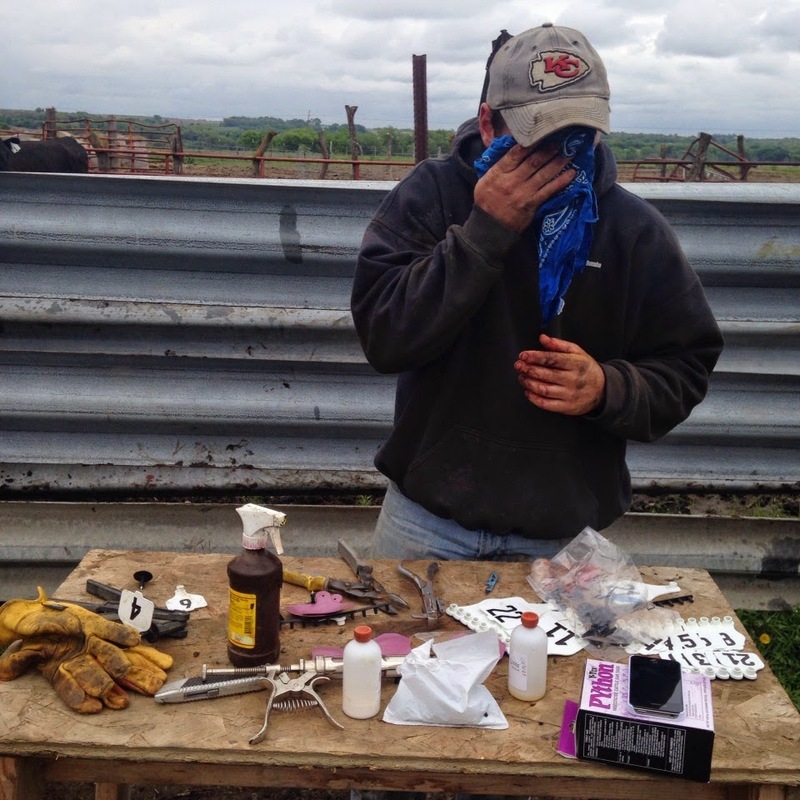 Other parts of the county only require non-permanent identification such as ear tags to identify cattle owners. The vaccination he administered is called a seven way shot to keep the cattle from getting sick and the Pour-On is a liquid that gets poured down their spines to prevent parasites such as flies and ticks and is also a dewormer. After working the calves through most ranches will have a “bull fry”. 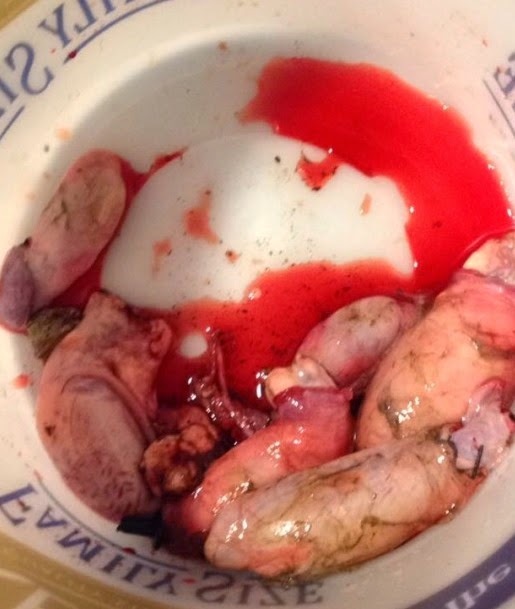 Frying up the bull testicles in hot oil is very common among ranchers. I cleaned up the nuts and removed the excess membrane, the next step is to slice the nuts in quarter inch sections, add breading/seasoning, and drop into hot oil to be fried. We got back to Jerry’s house and he was out of oil…coincidence? 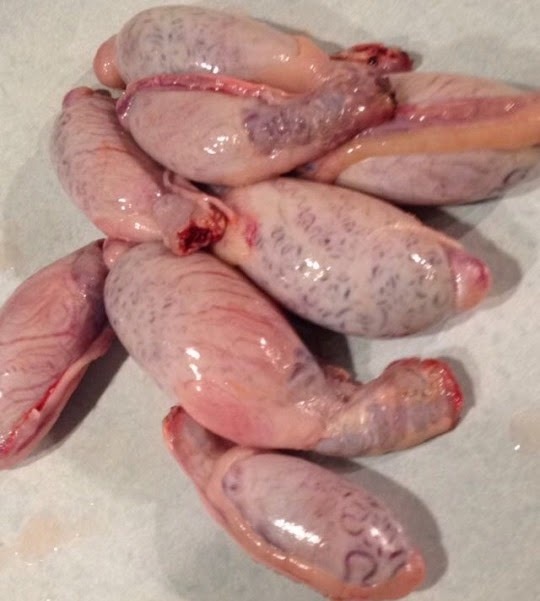 I think not….Jerry doesn’t even like rocky mountain oysters…. Where did the sunshine go?!? Sure doesn’t feel like spring in Nebraska yet, it has rained nearly every day in the month of May so far. 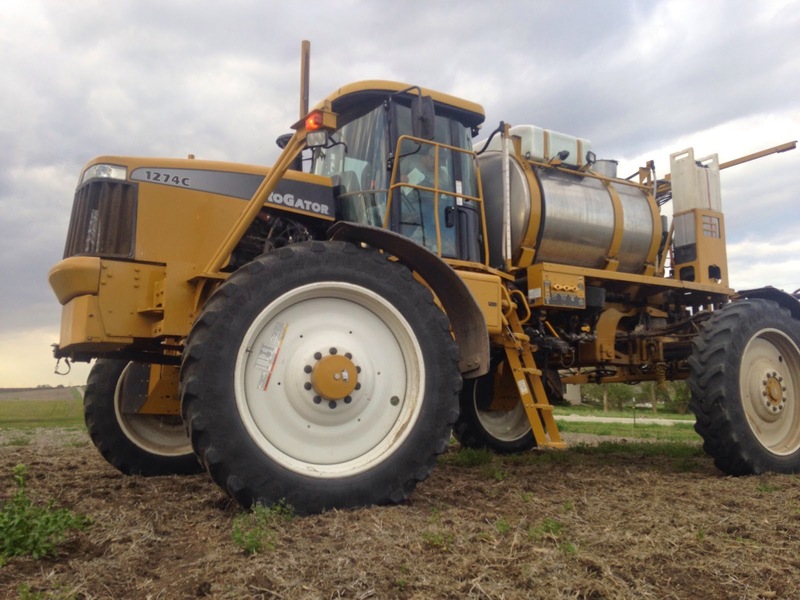 All the rain is causing a delay for planting season, with the ground still soft farmers can’t get in the fields to spray or plant for a few days after the rain or risk tearing up the soil. 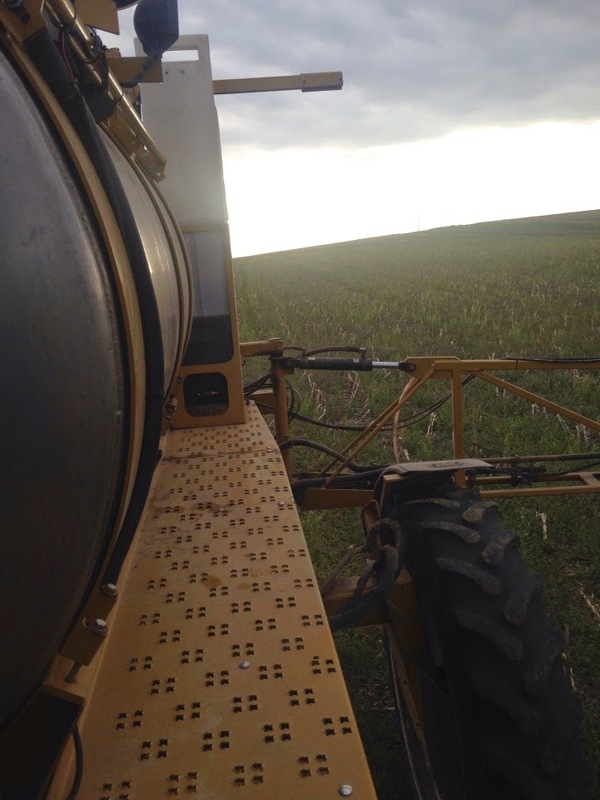 I joined Jerry as his co-pilot in the sprayer on the evening of May 1st, he was finishing up some pre-corn custom spraying for a neighbor. You could tell the sky wanted to drop some water that evening but it held out and only let down a few sprinkles. Lucky for Jer because a big rain was coming the next few days and he really wanted to get a few fields finished up. After finishing spraying that field we jumped right in the tractor and started planting his last 40 acres left of corn. It was a race against mother nature to finish that evening…rain started coming down as Jer was pulling the tractor into the shed for the night around 11:50 pm. A huge sigh of relief overcame Jerry that evening and I think he took about the next two weeks off due to all the rain. 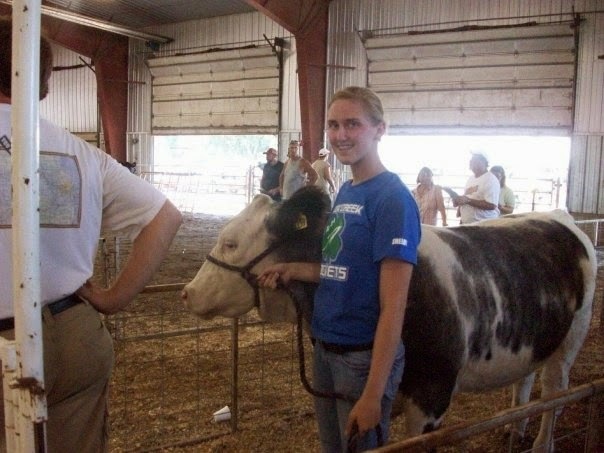 Another great thing about Nebraska farming; the livestock! My grandparents/parents have had cattle my entire lifetime. 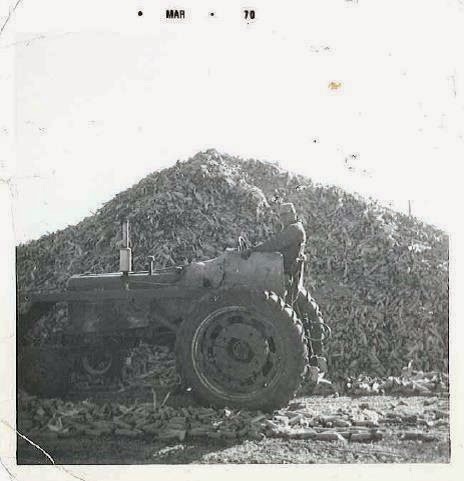 I remember hauling buckets of corn to the feed bunks at as young as eight years old, my dad would have one in each hand and i’d be struggling with a half filled 5 gallon-er. 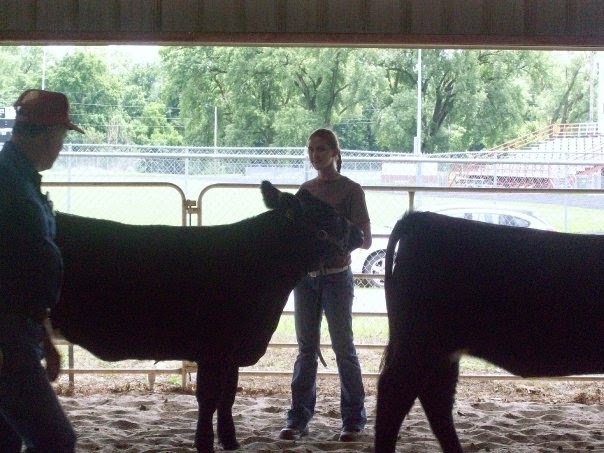 My siblings and I showed beef cattle and goats in the county and state fairs and a few local progress shows. It was always a lot of work during the summer but such a great learning experience. 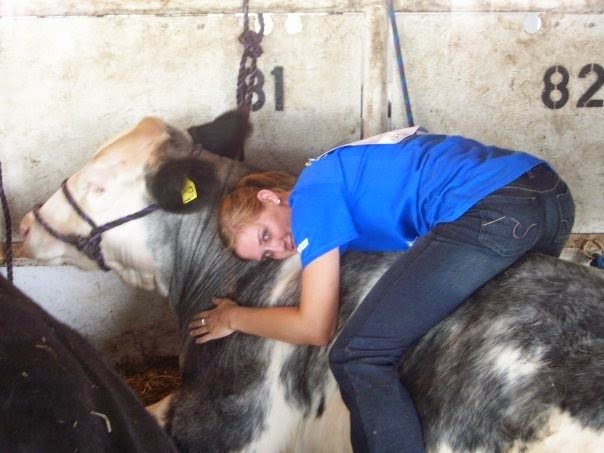 Anyone who has showed livestock knows the deep and sometimes frustrating bond you develop with your animals and the agony of when you have to sell them. 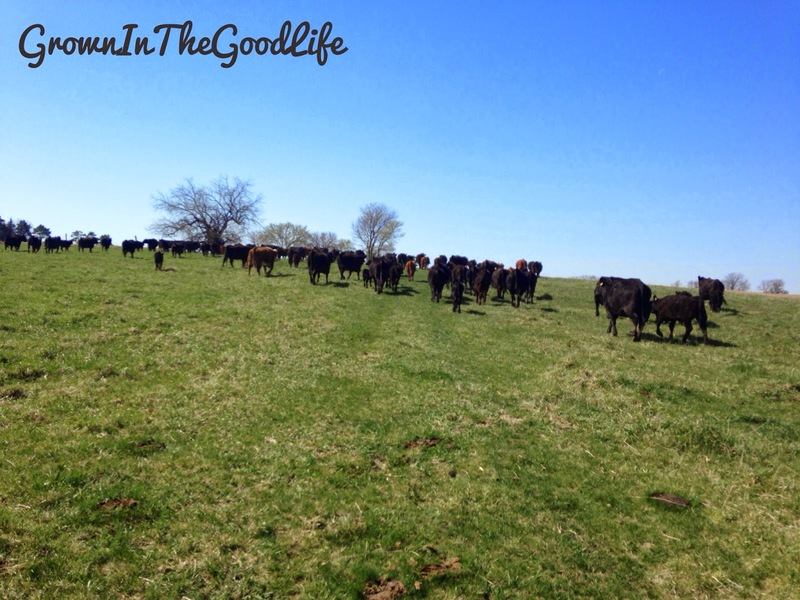 Jerry also has a cattle herd of about 80 head. 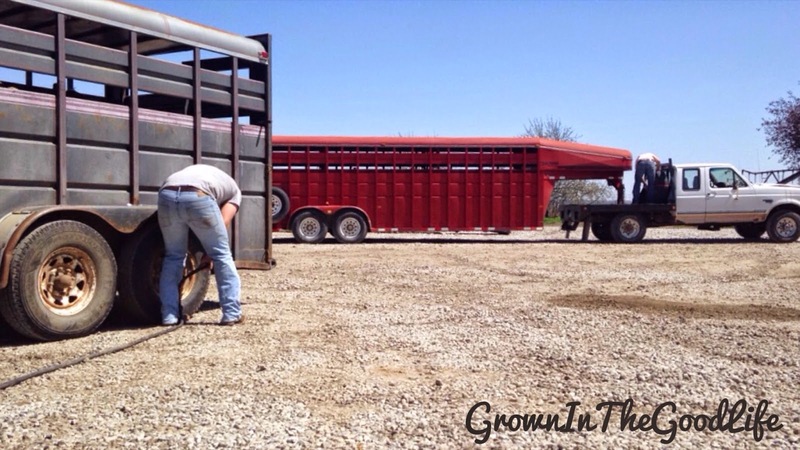 We sorted, loaded and hauled 26 black Angus and Hereford calves to the sale barn last week. They were born Aug/Sept 14 and weighed about 600 lb on average. Jer showed livestock growing up and even got into horses and pigs. He had his own cattle herd of around 30 head before he even graduated high school. He was doing chores before and after school and making more income his senior year of high school than some of his teachers. 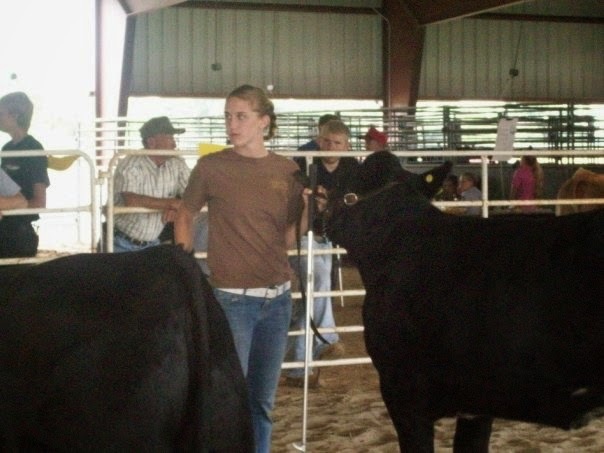 (I’m so proud of my hard-working farmer man) Then when it came time to leave for college he sold all of them, and after college graduation started his herd back up again. 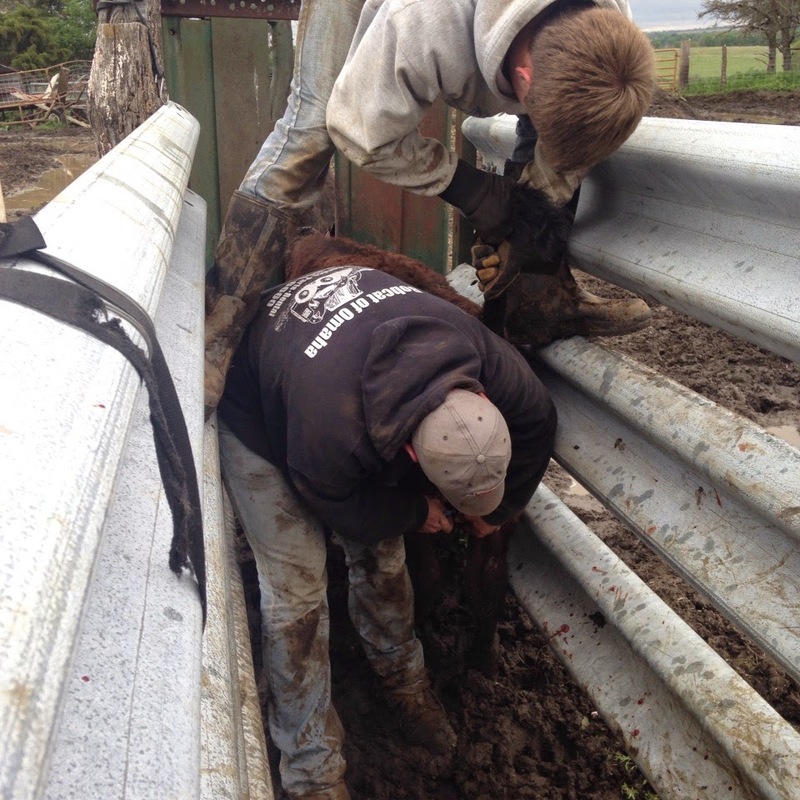 Jerry, his younger brother Matt, and I getting cattle ready for the sale barn. 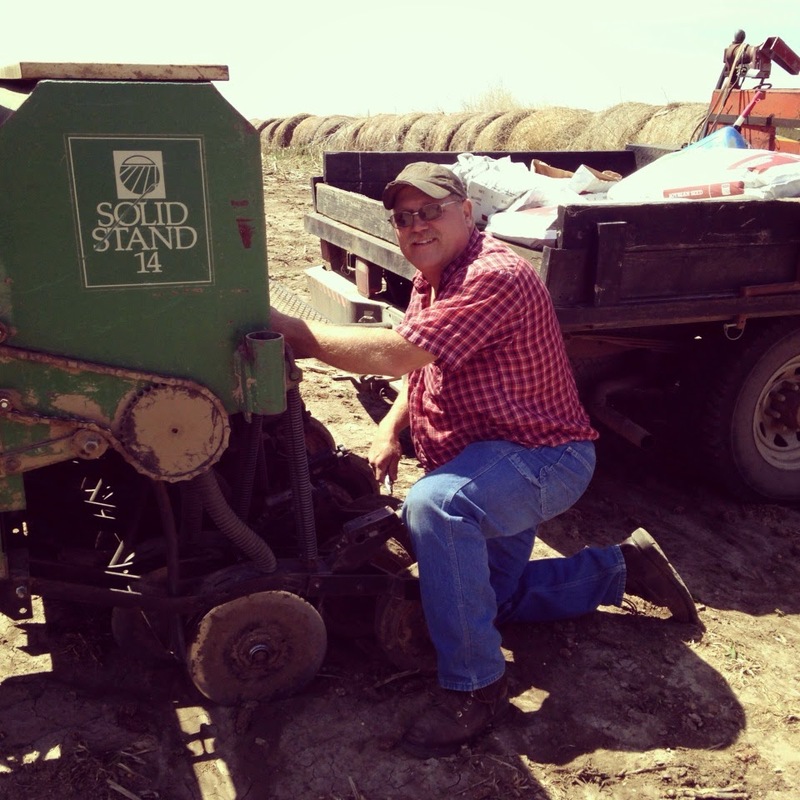 In most Midwestern states farming is a family business, passed down through generations of hard work. Teaching your children the importance of agriculture and the value it has to society is something that will motivate them through every hard day of work. Farmers work their entire lives trying to gain more ground, more livestock, and to have something to eventually pass on to their children when the time is right. 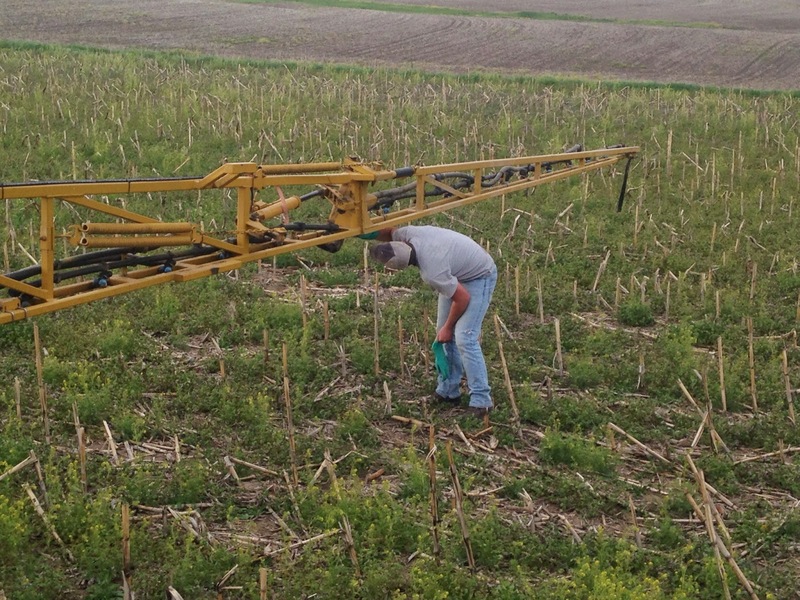 They are not only passing on the equipment or land but the commitment and the responsibility of caring for the farm as their parents and grandparents did. Jerry jokes that the sooner we have kids the sooner he can retire, but i know that is one of the things he is really looking forward to. Passing on his passion to his children and teaching them all the things he was taught as a child. 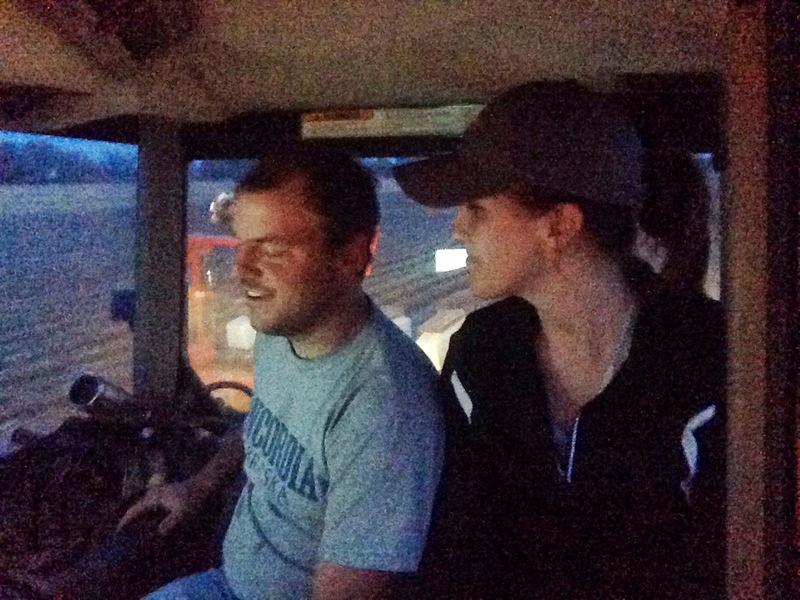 Showing them how to drive a tractor for the first time or to care for their first bucket calf and getting to relieve the experience through them. My dad is especially proud when I am out helping with the cattle or driving the grain cart. He knows what an impact growing up here has made on his kids and how it has impacted the rest of our lives. It may not be the most glamorous job but it is one of the most fulfilling.